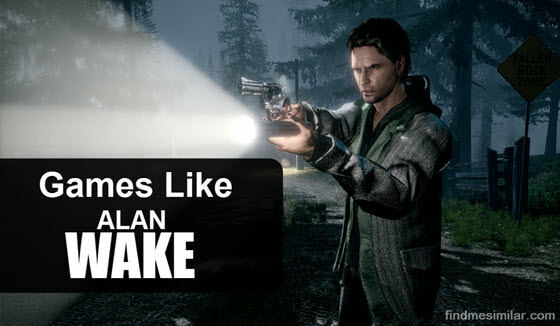 Psychological Thriller Games Like Alan Wake '+g+"
Alan Wake is a psychological thriller game developed by Remedy Entertainment and published by Microsoft Game Studios for PC and Xbox 360. The story follows famous novelist Alan Wake as he tries to uncover the mystery behind his wife Alice's disappearance at Cauldron Lake during a vacation in the small town of Bright Falls. If you are a fan of psychological thriller games like Alan Wake and looking for more games with similar gameplay then find the recommendations for it below and don't forget to mention if we miss any games as we keep on updating this list. Deadly Premonition is an open-world psychological horror game where the player controls Francis York Morgan an FBI Agent investigating the Identity of a serial killer responsible for a brutal murder in the small town of Greenvale. Silent Hill is a series of survival-horror video games created by Keiichiro Toyama and published by Konami. Mostly the story of the games revolves around the fictitious American tourist town called Silent Hill. Resident Evil is a series of survival horror video games created by Shinji Mikami and developed by Capcom. Mostly the games revolve around player fighting against the zombies and hideous mutations created as a biological weapons by Umbrella Inc.
Dead Space is a series of third-person shooter survival horror video games created by Glen Schofield, developed by Visceral Games and published by Electronic Arts. Generally the story revolves around ship systems engineer Isaac Clarke's fight against Necromorph outbreak in outer space. Max Payne is a third-person shooter video game series developed by Remedy Entertainment and Rockstar Studios. The franchise is notable for its use of "bullet time" in action sequences which slows down everything around the player while he can still aim and fire weapons in real time. This gives the characters an edge over the enemies. Murdered: Soul Suspect,....if you can think of more similar games then don't forget to mention them in comments.